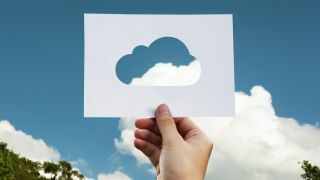 According to Gartner, the public cloud market is expected to grow 17 percent in 2019, to $206 billion, and it’s easy to see the appeal of public cloud. It can provide the scalability needed to support a growing business on a pay-as-you-go basis, without the need to install, run and maintain additional infrastructure. Public cloud also can be ideal for customer-facing situations where users need to connect from different parts of the world with different levels of connectivity, and it’s a good match for short-term workloads such as testing as well as long-term disaster recovery. Security – While public clouds aren’t inherently insecure, the risks are primarily related to control. For example, the more people that are accessing and configuring public cloud storage, the higher the risk. Depending on the vendor, remote access to data stored in a public cloud might be granted anywhere in the world or other cloud customers might have physical access to the shared infrastructure. Regardless of the situation, users are depending on a third-party to keep their data safe. Performance – Because public clouds are offsite, there is always some latency involved in accessing data stored there, the extent of which depends on such factors as the storage technology used, network reliability and network bandwidth, including between the cloud and a customer’s data center. Even with stringent SLAs, instances of public cloud outages are well known. Cost – Often there is more to cloud costs than what initially meets the eye, particularly when it comes to retrieving data. Many public cloud vendors charge by usage, employing a tiered pricing strategy where cost increases can be considerable once usage reaches a certain point. As a result, customers can be caught off guard by large, unexpected bills. In addition to the concerns above, there’s another public cloud issue that’s especially relevant to IT managers in Europe, namely compliance. With the introduction of the General Data Protection Regulation (GDPR), there is an additional layer of complexity when it comes to IT infrastructures and processes. Further complicating matters, the U.S. CLOUD Act says that American cloud service providers are obliged to hand over data to U.S. authorities if commanded to do so, even if the data is stored in another country. Because this contravenes GDPR, it poses legal risks for European organisations in using American cloud providers. Given the security, performance, cost and compliance issues that can arise with public cloud, it’s not surprising that more and more users are adopting a hybrid cloud strategy that encompasses both public cloud and on-premises storage. With the latter, users keep data under their own control, and responsibility for security and compliance rests solely in their hands. Similarly, on-premises storage avoids the latency and bandwidth issues that can arise with public cloud and enables users to manage and access large data volumes while keeping track of costs. Of course, users must invest appropriately in their own infrastructures to ensure they can scale and meet their security, performance and compliance needs. Moving forward, one can expect to see further repatriation until organisations find the right balance in a hybrid cloud strategy, after which they will pick and choose among public cloud and on-prem solutions based on what makes the most sense for their workloads and use cases.